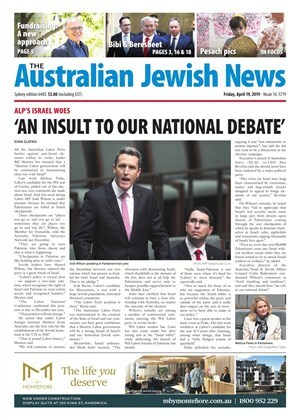 AUSTRALIA is one of a small handful of countries prepared to stand up and vote against one-sided antisemitic resolutions at the UN General Assembly, former foreign minister Julie Bishop said. MARISE Payne is the new Foreign Minister of Australia; she will be an even blander version of Julie Bishop. Her first speech to the United Nations was an extremely cautious restatement of the Coalition's foreign policy in her first international platform. As The Australian newspaper editorialised, she lost an opportunity to give real meaning "to Australia's stance on global issues". AUSTRALIA'S new Minister for Foreign Affairs Marise Payne will continue to support the State of Israel, according to Liberal deputy leader Josh Frydenberg. The Victorian Liberal Friends of Israel are hosting a Pre-Rosh Hashanah Breakfast with Federal Minister for Foreign Affairs, Julie Bishop on August 31 in Caulfield South, Melbourne. Australia will not follow the lead of the United States and move its embassy to Jerusalem. "Our policy position remains precisely where it has been for many years," Prime Minister Malcolm Turnbull said this week. ISRAEL is "a beacon of democracy in a very troubled neighbourhood", Australia's Foreign Minister Julie Bishop said on the 70th anniversary of the United Nations (UN) partition resolution which led to the establishment of the country. THE Turnbull government has reiterated it has no plans to move Australia's Israel embassy from Tel Aviv to Jerusalem, despite a pledge by Victorian Liberals to open a trade office in the Israeli capital if they win next year's state election. 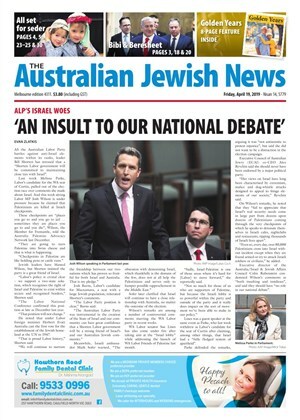 IN an unprecedented move, Israel’s new ambassador to Australia Mark Sofer has urged communal organisations to consult with the embassy before releasing public statements on issues concerning the Jewish State. Israel has applauded America for leaving a UN agency that has become notorious for criticising the Jewish State and downplaying Jerusalem's Jewish history.